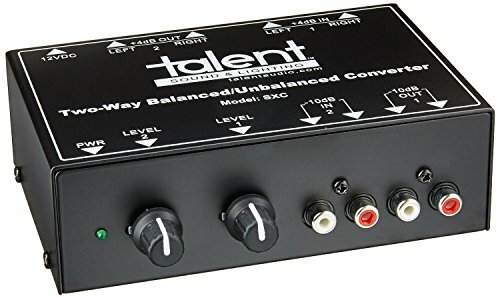 The Talent SXC two-way balanced/unbalanced converter matches the different impedance and connector formats encountered when connecting RCA line level consumer electronics to balanced XLR professional gear. If you have any questions about this product by Talent, contact us by completing and submitting the form below. If you are looking for a specif part number, please include it with your message.